Food regulators didn't consider salmonella a threat to most peanut products before they traced an outbreak to a peanut butter plant in Georgia two years ago. Officials in the nation's top peanut-producing state promptly began checking for the bacteria during routine inspections, and everything went fine for about a year. As health officials scramble to limit the effects of the latest outbreak, food safety advocates have renewed calls for increased testing at peanut processing plants. It's a costly and time-consuming proposition for an inspection process that, as an Associated Press review of state and federal procedures shows, already suffers from a lack of manpower and transparency, and from uncertainty over how much testing is enough. Peanut butter had long been considered a relatively low risk for salmonella because roasting the peanuts properly kills the bacteria, and because peanut butter's low moisture content makes it a less fertile breeding ground for the virus than other foods, such as poultry or lunch meats. The states, in turn, rely on the companies to police themselves between infrequent visits from state inspectors. And a number of leading peanut butter companies won't specify what they do to keep their products from being contaminated. Jif maker J.M. Smucker Co., Skippy manufacturer Unilever and Omaha, Neb.-based ConAgra Foods Inc., which makes Peter Pan, all said they have stringent food safety and quality control standards. But neither Unilever or ConAgra responded to the AP's questions about how often the plants test their finished product for foodborne illnesses or other contamination. Smucker's said it couldn't answer those questions for proprietary reasons. Authorities reassessed peanut butter's risk level in 2007, when salmonella was found in Peter Pan and Great Value peanut butters made at a plant operated by ConAgra in south Georgia. ConAgra officials later said jars were contaminated when moisture from a roof leak during a rainstorm and a malfunctioning sprinkler system mixed with dormant salmonella bacteria in the plant. This month, a facility in Blakely, a rural Georgia town that calls itself the "Peanut Capital of the World" and is an hour or so drive from the ConAgra plant, found itself at the center of the investigation into the deadly salmonella outbreak. Virginia-based Peanut Corp. of America, which owns the Blakely plant, distributes peanut butter to institutions such as hospitals and nursing homes. It also provides peanut paste to food companies, which use the product in cookies, cakes and other products available on supermarket shelves. On Tuesday, federal officials said Peanut Corp. failed to tell inspectors that after samples sent to a contract lab for testing in 2007 and 2008 tested positive for salmonella, the company got a second opinion from another lab and sold the food after the secondary tests came back negative. "Under the current regulations and laws, they are not required to share those records with state regulatory authorities or even with the FDA," said Oscar Garrison, Georgia's assistant agriculture commissioner, who oversees the consumer protection division. "It's just basically a loophole that has been there," he said, noting that the law does prevent a company from shipping a product if it knows there is a safety risk. He also said the agriculture department plans to try to get the state law changed during the current legislative session to require companies to share those records with inspectors. The Georgia Department of Agriculture performed two inspections last year at the Blakely plant, including one in October - a month after the first people fell ill with salmonella. They found relatively low-level violations, such as equipment that wasn't properly covered and dust buildup, but did not check for salmonella during either inspection, according to department reports obtained by the AP through an open records request. Regulators in Georgia, Arkansas and Kentucky, where the three top commercial peanut butter brands are produced, said state employees carry out routine inspections at peanut butter plants at least once or twice a year. Officials in Arkansas and Kentucky - where Skippy and Jif are produced, respectively - review records kept by the companies. Samples of the finished product are not taken during routine walkthroughs unless inspectors have reason to believe there might be a violation. Agriculture officials in Georgia, whose inspections are comparable to Arkansas' and Kentucky's, said last week that manpower and funding shortages limit the number and extent of inspections they can do. The state has 60 inspectors responsible for examining 15,000 sites, or about 250 food sources per inspector, ranging from individual ice machines to sprawling factories. "Testing should be done regularly, which could mean lot by lot, or at least daily," Smith DeWaal said. Good management practices established by the American Peanut Council, a trade association that represents all segments of the U.S. peanut industry, say tests "should be done on a regular basis," though they do not specify how often that means. The council's president, Patrick Archer, said this is because each company must design its own inspection plan, taking into account local laws. "Testing is costly," said Mike Doyle, director of the University of Georgia's Center for Food Safety. "Companies have to be practical about it, as well as making sure they are providing the best possible protection for the consumer." Isagenix International LLC is recalling select lots of its branded Chocolate Dipped Honey Peanut IsaLean bars, because they could be contaminated with salmonella. This organism can cause serious and sometimes fatal infections, especially in young children, the elderly and those with weakened immune systems. No illness has been reported, according to the Chandler, Ariz., company. The bars, with UPC No. 602410, have lot numbers 11390108, 11390208, 12390308 and 12390808. They were sold through independent direct sales distributors around the country. Details: by phone at 877-877-8111. SOPAKCO Inc. is recalling certain Sure-Pak 12 Meals because they could be contaminated with salmonella. This organism can cause serious and sometimes fatal infections, especially in young children, the elderly and those with weakened immune systems. 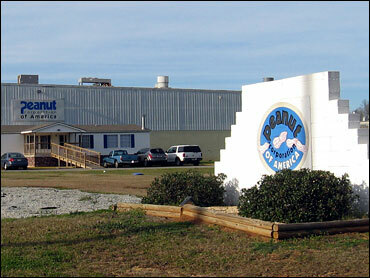 The Mullins, S.C., company said it is not aware of any illnesses involving the products. The recalled products were sold by SOPAKCO to distributors and customers nationwide and several foreign countries. Some of them were sold at stores specializing in emergency preparedness and camping gear and rations. The recall includes the lot codes 8261, 8278, 8285, 8287, 8294, 8320, 8322, 8330, 8350, 8357, 8358, 9003 and 9012. For more information, consumers can call 423-278-1437. Jenny Craig Inc. is recalling Jenny's Cuisine Anytime Peanut Butter Flavor Nutritional Bars because they could be contaminated with salmonella. This organism can cause serious and sometimes fatal infections, especially in young children, the elderly and those with weakened immune systems. There have been no reports of illnesses, according to the Carlsbad, Calif., company. The recalled bars were distributed with best before dates of MAY1209ALO; MAY1209BLO; MAY2409BLO; MAY2509BLO; MAY2509ALO; MAY2609ALO; and MAY2609BLO. They were distributed directly to clients through Jenny Craig centers or the at-home Jenny Craig Direct program. For more information, consumers can call 800-536-6922. Carolina Prime Pet is recalling four of its dog treats because they could be contaminated with salmonella. In pets, this organism can cause diarrhea, vomiting, fever and abdominal pain. It can be transferred to humans handling the pet treats, and the organism can cause serious and sometimes fatal infections, especially in young children, the elderly and those with weakened immune systems. The Murphy, N.C., company said it is not aware of any reports of illnesses. The recalled products, with lot date codes between 081508 and 010909, include: 6 inch Beef Shank Peanut Butter; 2pk Hooves Peanut Butter; 4 inch Rawhide Bone Peanut Butter; 6 inch Rawhide Bone Peanut Butter; and 6 inch Healthy Hide Beef Shank Peanut Butter. They were sold at various retail establishments in the U.S. and Canada. For more information, consumers can call 888-370-2360. ALDI is recalling Cambridge cheese crackers with peanut butter and its Grandessa peanut butter cookies because they could be contaminated with salmonella. This organism can cause serious and sometimes fatal infections, especially in young children, the elderly and those with weakened immune systems. There have been no reports of illnesses, according to the Batavia, Ill., company. Both products were sold nationwide at ALDI stores. For more information, consumers can call 630-761-2740.